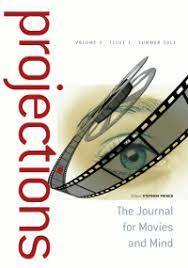 At the most recent meeting of the Society for Cognitive Studies of the Moving Image (SCSMI), the Board of Directors voted to approve a proposal to commence publishing Projections three times per year starting in 2019. This change is indicative of a steady trend of increasing, high-quality submissions, which not only allows us to publish more and publish more often, but also sends us a positive sign that our reputation for pioneering, interdisciplinary research is attracting attention from more and more scholars. Next year’s move to three issues per volume will coincide with another important change: by default, subscriptions to Projections will be by electronic access only. In line with current practices at an increasing number of other scholarly journals, this new policy is reflective of the changing ways in which most readers access our content. It will also result in reduced costs to you, our readers, because it will allow us to save money on printing and shipping. Don’t be alarmed, though: Projections will continue to exist in print, and print subscriptions will still be available for a surcharge. New membership rates for the SCSMI are posted on the Membership/Renewal page.